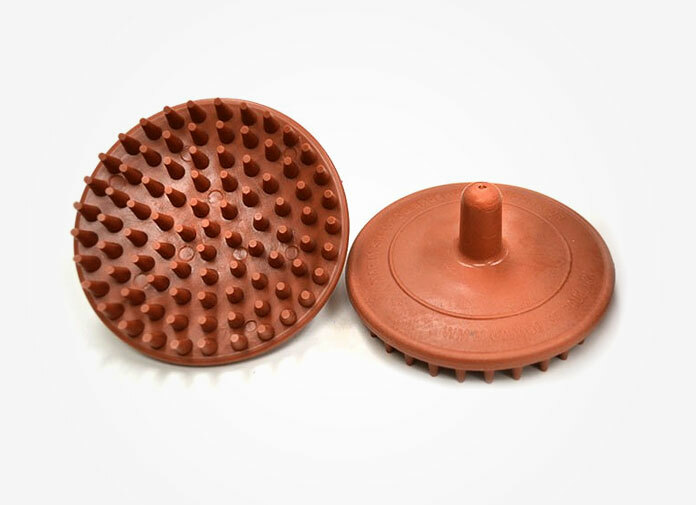 Marvy's shampoo brush is a durable scalp cleanser and stimulator with a contured shape to comfortably fit your hand. Made of flexible vinyl, Marvy’s invigorating shampoo brush works amazing well, thanks to short and thick nubs gently exfoliating build-ups and stimulating the scalp at the same time. Many people also claim that after using the brush for daily shampooing, their dandruff issues are significantly decreased. Other than shampooing, you can also use the Marvy shampoo brush and scalp invigorator for massaging your scalp with essential oils. The brush is slightly contoured to fit the shape of the head, thus distribute the oil mixture more evenly than using your fingers.